There's nothing worse than having pangs of hunger in the middle of a theatre show, but with most curtain ups at 7.30pm, it doesn't leave much time to grab food after leaving work. Here is a list of my top 10 restaurants and eateries (in no particular order) to get a bite to eat or theatre dinner special in Birmingham city centre - whether you are going to Birmingham Hippodrome, New Alexandra Theatre, Birmingham Rep, The Crescent Theatre, Symphony Hall or the NIA. 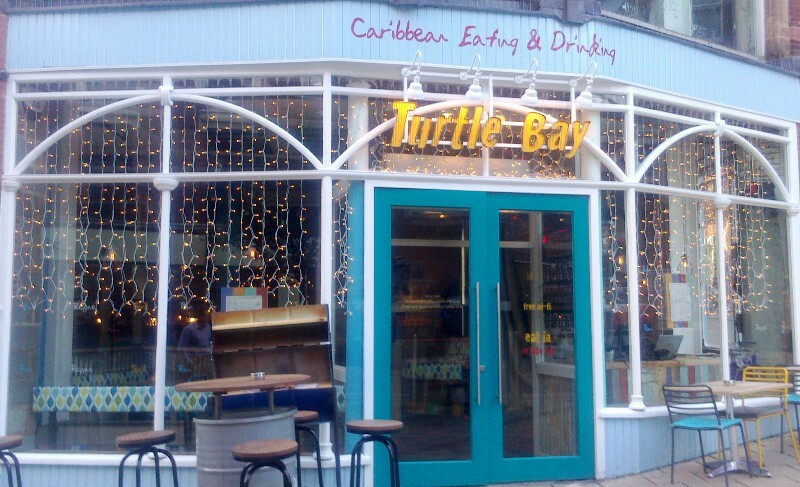 This Jamaican restaurant in John Bright Street has quick service and offers hearty food with flavour and spice on the doorstep of New Alexandra Theatre. An added bonus is that it offers 2 for 1 on cocktails from midday until 7pm everyday - as well as from 10pm until closing time (if you want to return after the show). With reggae music playing softly in the background, a huge central bar, and tables that are made to look like shacks in a Caribbean island, it has the laidback, fun atmosphere to get you in the mood for a good night out. It's fair priced food - starters are around £4 each and main courses £6 - £15. 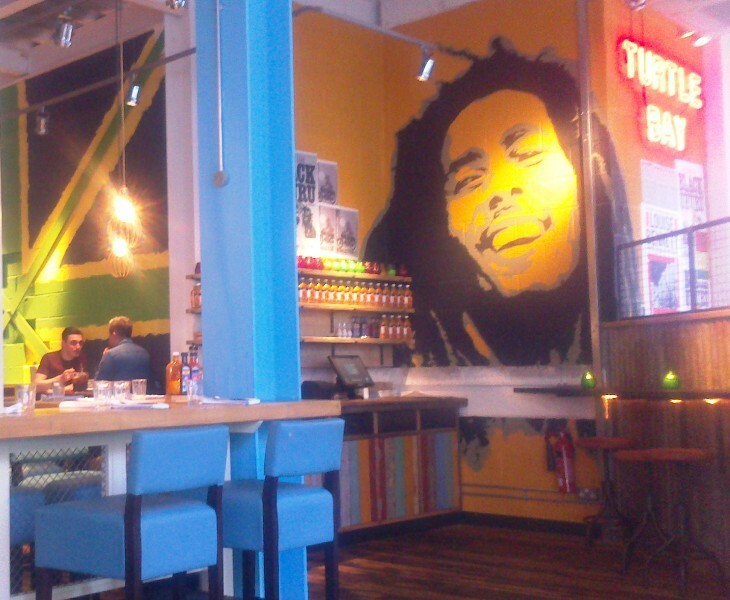 Delicious choices include the classic jerk chicken or ribs and sweet potato mash or fries, pepper roti, sweetcorn fritters, goat curry with rice and peas and much more. Turtle Bay is part of a chain of restaurants that are starting to open up across the country. Ooh la la. For food with French flair, Le Truc provides sumptuous dishes and is only a few yards away from Birmingham Hippodrome. 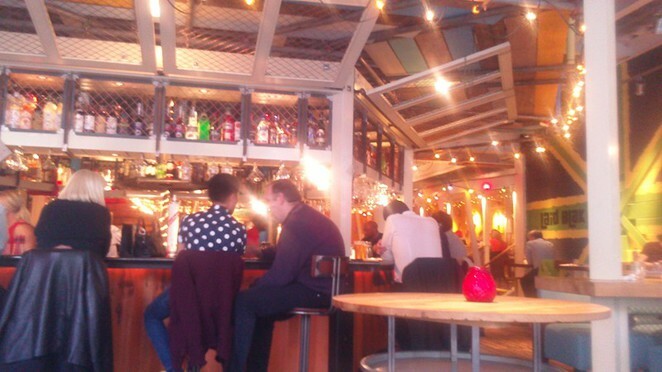 Based at The Arcadian, it has a shabby chic vibe to the place. 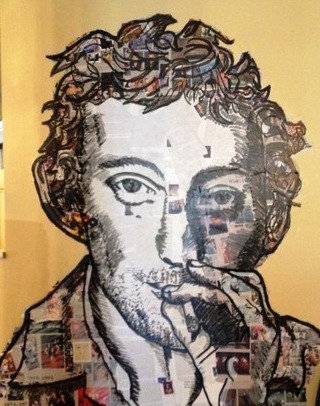 Chandeliers fill the room but there are large vibrant paintings of quirky faces and graffiti-ed across the walls. It's a stylish restaurant with slightly higher than average prices (main courses range from £13 - £17) but incredibly tasty food. The menu is in old school exercise books and there's a good range of vegetarian dishes. However, Le Truc has a special offer for pre-theatre diners. The two course - starter and main meal - pre-theatre special menu costs £13.95 and is available from 5pm to 7.30pm. Classic examples of the menu include moules and frites, steak, spiced lentil crepes or pan fried seabass with dauphinoise potatoes. The Arcadian, 21 Ladywell Way, Birmingham, B5 4ST. Monday - Friday - From noon til late. Saturday - Sunday - From 10am til late. Maharajah is one of Birmingham's long-established Indian restaurants dating back 30 years that has attracted actors starring in plays and musicals along with the audiences going to see them. Sophisticated with classic Indian dishes, it is located next to Birmingham Hippodrome in Hurst Street and just a five minute walk from the New Alexandra Theatre. Maharajah opens at 6pm, so it is best to place a reservation in advance and arrive as soon as it opens in order to have enough time for a curry or tandoori dishes to be cooked ahead of curtain up. The menu centres around dishes from North India and has specialities including Rogan Josh (medium hot lamb curry) and butter chicken (a mild creamy chicken curry). It is an award-winning restaurant that won the Egon Ronay Indian Restaurant of the Year in 1996 and has had 20 successive listings in the Hardens annual restaurant guide. Prices reflect this with a main course curry priced at around £10 each, rice around £3.50 and naan bread at £2.55 - although it is worth trying the fluffy, delicious onion kucha bread at £2.65. 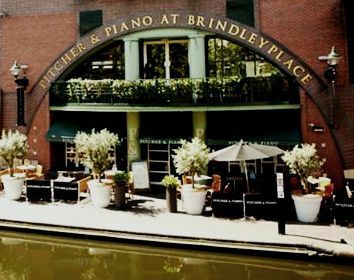 Located at the picturesque Brindley Place, overlooking the canal, the Pitcher and Piano is a stylish pub that offers classic British fayre. It is within easy reach of Birmingham Rep Theatre, the NIA and the Crescent Theatre, and has outdoor dining over the water that is wonderful on a sunny day. It is a national chain, but has a large menu featuring everything from a fish finger butty (£6.50) to burger (£9.95) or hot smoked salmon salad (£9.50), which are served in a short amount of time. Cherry Reds started off as a small independent cafe in Kings Heath and has branched out to open a city centre spot in John Bright Street, round the corner from the New Alexandra Theatre. 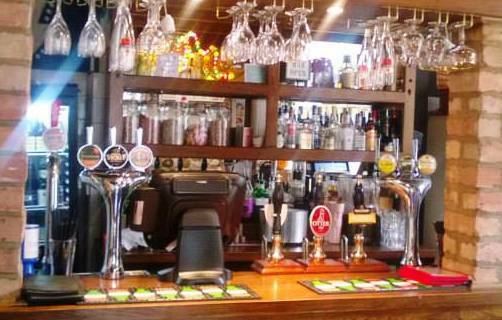 It's cool and chic with an array of independent British beers on tap, like Freedom, plus the food is good quality with large servings. There are some tables and bar downstairs, but there are three large rooms upstairs - follow a narrow windy staircase. It's higgildy-piggildy, but that is what is so charming about it. Food-wise, it's simple, classic dishes that include a large plate of nachos with cheese and all the toppings, chicken burger with fries, and sharing platters (vegetarian or meat) which include houmous, olives, pulled pork, fries and more. They are priced around £6-£8 for a main dish. There's also cakes by the till if you would rather have a cake and coffee instead. There is a vintage feel to the place and it has a vibrant atmosphere of laid-back chatter and laughter.